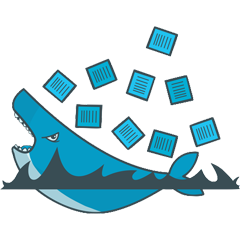 In the last couple of blog posts on Docker, we have looked into understanding and running Galera Cluster on Docker Swarm. It scales and fails over pretty well, but there are still some limitations that prevent it from running smoothly in a production environment. We will be discussing about these limitations, and see how we can overcome them. Hopefully, this will clear some of the questions that might be circling around in your head. Health check - Each of the stateful containers must pass the Docker health checks, to ensure it achieves the correct state before being included into the active load balancing set. Data persistency - Whenever a container is replaced, it has to be started from the last known good configuration. Else you might lose data. Load balancing algorithm - Since Galera Cluster can handle read/write simultaneously, each node can be treated equally. A recommended balancing algorithm for Galera Cluster is least connection. This algorithm takes into consideration the number of current connections each server has. When a client attempts to connect, the load balancer will try to determine which server has the least number of connections and then assign the new connection to that server. We are going to discuss all the points mentioned above with a great detail, plus possible workarounds on how to tackle those problems. HEALTHCHECK is a command to tell Docker how to test a container, to check that it is still working. In Galera, the fact that mysqld is running does not mean it is healthy and ready to serve. Without a proper health check, Galera could be wrongly diagnosed when something goes wrong, and by default, Docker Swarm’s ingress network will include the “STARTED” container into the load balancing set regardless of the Galera state. On the other hand, you have to manually attach to a MySQL container to check for various MySQL statuses to determine if the container is healthy. Hostname: db_mariadb_galera.1 Applications will see an error because container db_mariadb_galera.4 is introduced incorrectly into the load balancing set. Without HEALTHCHECK, the STARTED container will be part of the “active” tasks in the service. Hostname: db_mariadb_galera.2 Container db_mariadb_galera.4 is introduced correctly into the load balancing set. With proper HEALTHCHECK, the new container will be part of the “active” tasks in the service if it’s marked as healthy. The only problem with Docker health check is it only supports two exit codes - either 1 (unhealthy) or 0 (healthy). This is enough for a stateless application, where containers can come and go without caring much about the state itself and other containers. With a stateful service like Galera Cluster or MySQL Replication, another exit code is required to represent a staging phase. For example, when a joiner node comes into the picture, syncing is required from a donor node (by SST or IST). This process is automatically started by Galera and probably requires minutes or hours to complete, and the current workaround for this is to configure [--update-delay] and [--health-interval * --health-retires] to higher than the SST/IST time. The container will be destroyed if the SST process has taken more than 600 seconds. While in this state, the health check script will return “exit 1 (unhealthy)” in both joiner and donor containers because both are not supposed to be included by Docker Swarm’s load balancer since they are in syncing stage. After failures for 20 consecutive times at every 30 seconds (equal to 600 seconds), the joiner and donor containers will be removed by Docker Swarm and will be replaced by new containers. Another workaround apart setting up [--update-delay] and [--health-interval * --health-retires] to be higher than SST time is you could use HAProxy as the load balancer endpoints, instead of relying on Docker Swarm’s load balancer. More discussion further on. So, what happens if the switch connecting the three Docker Swarm nodes goes down? A network partition, which will split a three-node Galera Cluster into 'single-node' components. The cluster state will get demoted into Non-Primary and the Galera node state will turn to Initialized. This situation turns the containers into an unhealthy state according to the health check. After a period 600 seconds if the network is still down, those database containers will be destroyed and replaced with new containers by Docker Swarm according to the "docker service create" command. You will end up having a new cluster starting from scratch, and the existing data is removed. Don’t delete the last X failed containers, for troubleshooting purposes. Don’t delete the last X volumes, for recovery purposes. Notify users if a container is recreated, deleted, rescheduled. Docker Swarm comes with a load balancer, based on IPVS module in Linux kernel, to distribute traffic to all containers in round-robin fashion. It lacks several useful configurable options to handle routing of stateful applications, for example persistent connection (so source will always reach the same destination) and support for other balancing algorithm, like least connection, weighted round-robin or random. Despite IPVS being capable of handling persistent connections via option "-p", it doesn’t seem to be configurable in Docker Swarm. In MySQL, some connections might take a bit longer time to process before it returns the output back to the clients. Thus, Galera Cluster load distribution should use "least connection" algorithm, so the load is equally distributed to all database containers. The load balancer would ideally monitor the number of open connections for each server, and sends to the least busy server. Kubernetes defaults to least connection when distributing traffic to the backend containers. As a workaround, relying on other load balancers in front of the service is still the recommended way. HAProxy, ProxySQL and MaxScale excel in this area. However, you have to make sure these load balancers are aware of the dynamic changes of the backend database containers especially during scaling and failover. Galera Cluster on Docker Swarm fits well in development, test and staging environments, but it needs some more work when running in production. The technology still needs some time to mature, but as we saw in this blog, there are ways to work around the current limitations.